^ The Lord of the Rings – The Fellowship of the Ring. British Board of Film Classification. [16 October 2012]. 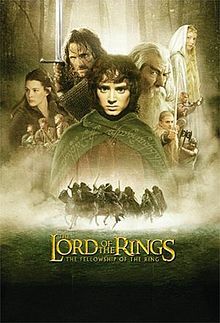 ^ 2.0 2.1 The Lord of the Rings The Fellowship of the Ring (2001). British Film Institute. [6 December 2012]. ^ 4.0 4.1 The Lord of the Rings: The Fellowship of the Ring (2001). Box Office Mojo. [5 February 2009]. ^ The Lord of the Rings – The Fellowship of the Ring. Rotten Tomatoes. [28 November 2010]. （原始内容存档于11 May 2011）. ^ The Lord of the Rings: The Fellowship of the Ring Reviews, Ratings, Credits, and More. Metacritic. [16 February 2013]. ^ Cinemascore. Cinemascore.com. [22 January 2015].